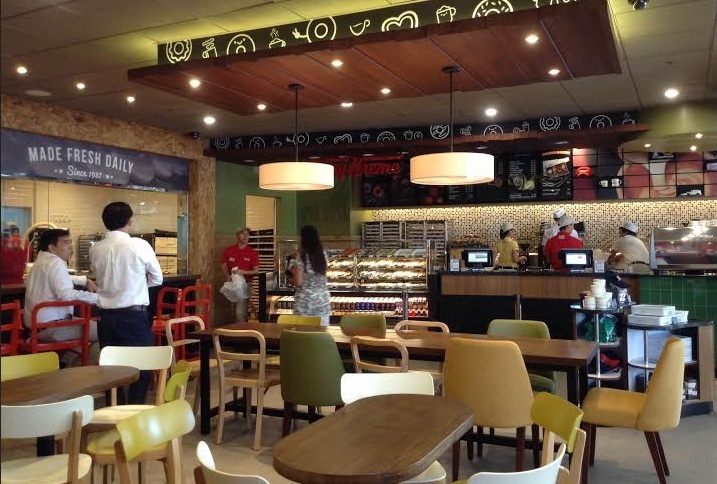 Residents south of Metro Manila can now enjoy the best of Krispy Kreme as the doughnut company opened its 78th store at Evia Lifestyle Center, Las Pinas on June 10. No less than the most influential political matron in Las Pinas, Sen. Cynthia Villar, and Krispy Kreme Philippines CEO Sharon Fuentebella, led the ribbon-cutting ceremony for the newest addition to the Krispy Kreme family. The Krispy Kreme Evia branch is the sixth of its kind in the world , a third-generation store that introduces a new design concept. 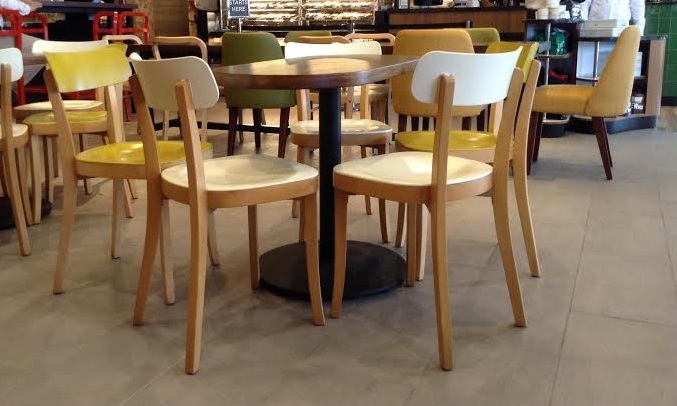 This means a more expansive yet cosier place, with different types of chairs and tables designed to suit the different moods and needs of its clientele. 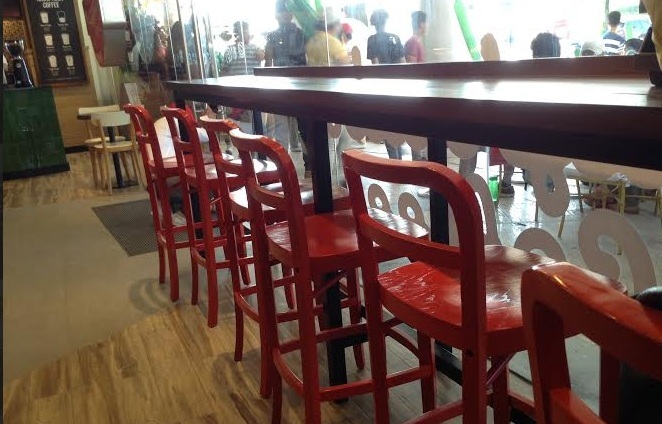 There are comfy lounge chairs at one side of the store; stylish counters with stools which easily remind one of classic soda fountains; long tables for that barkada or family gatherings, complete with modern chairs of different materials; and oblong tables which can seat anywhere from two to five people. Aside from the new concept of the Krispy Kreme Evia branch, the store also includes a commissary with a 150-line machine, which produces 150 dozens of glazed doughnuts in an hour. 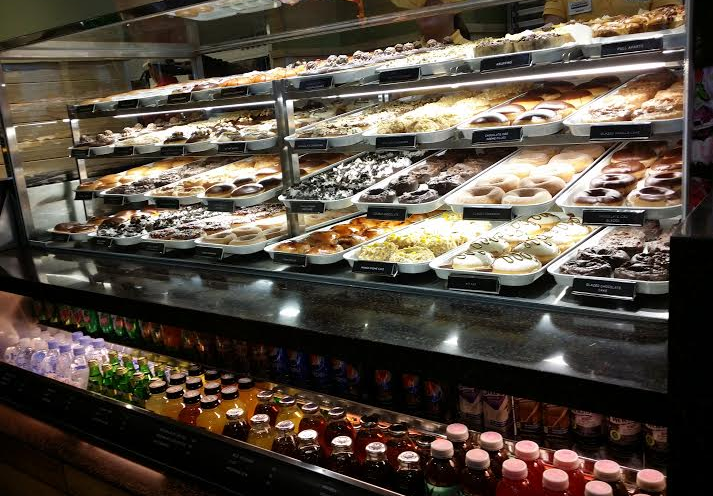 The commissary is expected to supply up to 8 stores in the south. 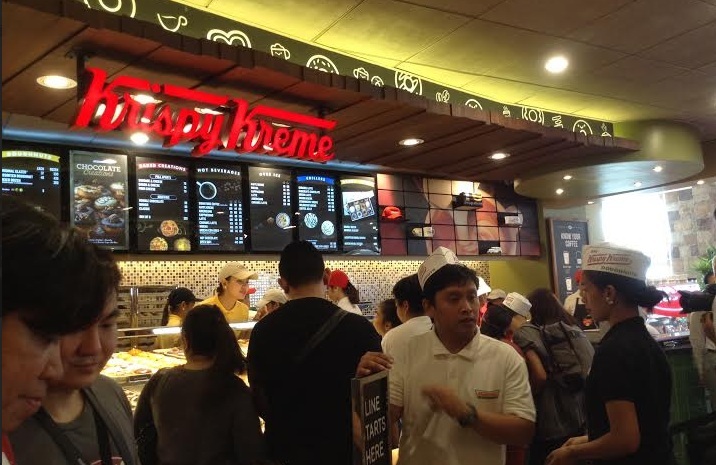 Like the other openings of Krispy Kreme stores, the first 100 customers got loads of doughnuts for free. 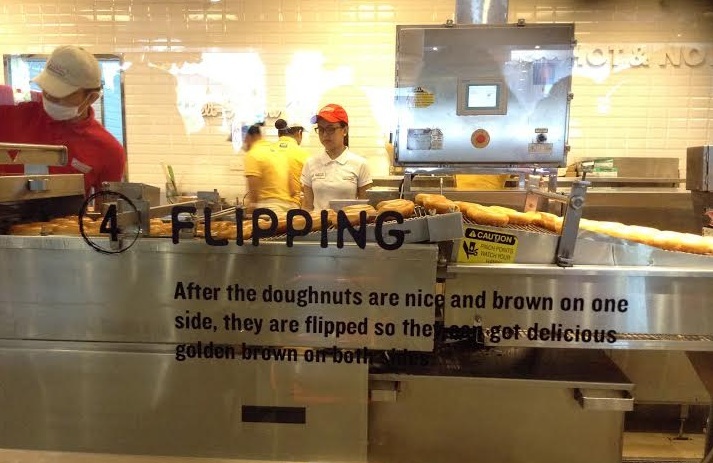 The first customer to line up was awarded with a gold certificate which entitles the winner to a weekly supply of Original Glazed doughnuts for one year. The second in line gets a silver certificate for a weekly supply of the same for six months. The bronze certificate is awarded to the third in line who will get a dozen doughnuts per week for three months. The 4th to 100th customers will get a weekly supply for a whole month. 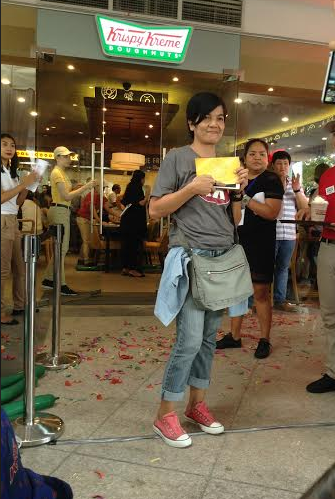 Would you believe that the gold card winner, Pearly Mojica, lined up 27 hours before the store opening? What's more is that her daughter was the bronze card winner. The mother and daughter team can throw a Krispy Kreme doughnut party every week until June 2017! 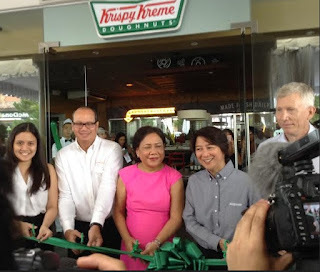 Krispy Kreme has come a long way since it was formally launched in the Philippines. The flagship store opened in November 2006 at Bonifacio Global City, Taguig. Before the first Krispy Kreme store was established in the country, however, Filipinos had already been introduced to the signature melt in the mouth Original Glazed doughnuts by returning Filipinos from the US. 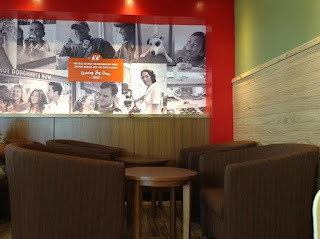 Back then, boxes of Krispy Kreme doughnuts were hand carried by Pinoys as pasalubongs for their family and friends. 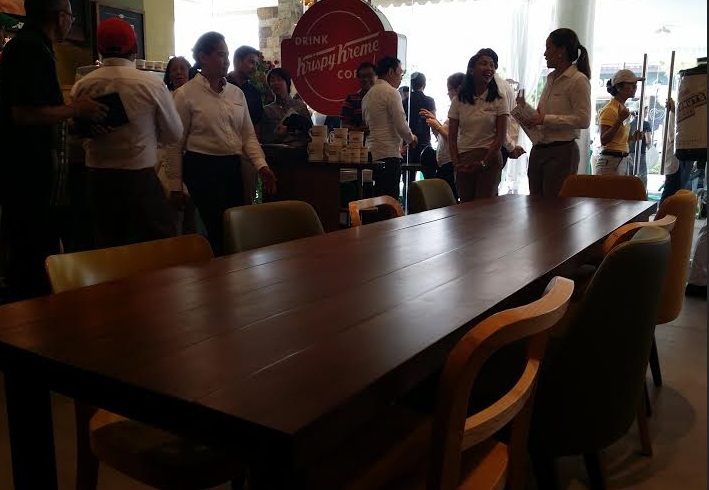 With 78 branches all over the archipelago, Filipinos can now enjoy a wide variety of Krispy Kreme doughnuts plus their signature coffee served by champion baristas at the counter.